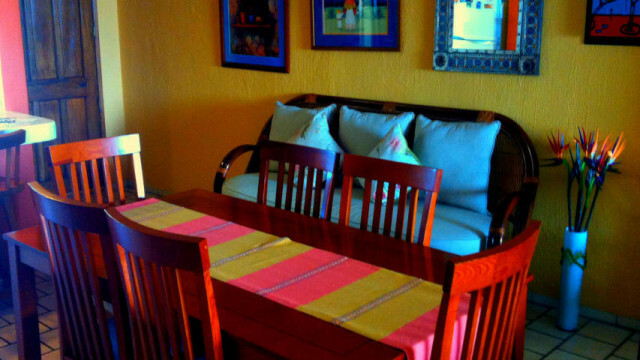 COLORFUL 2 bedroom, 2 bath condo overlooking beautiful Marina Vallarta. 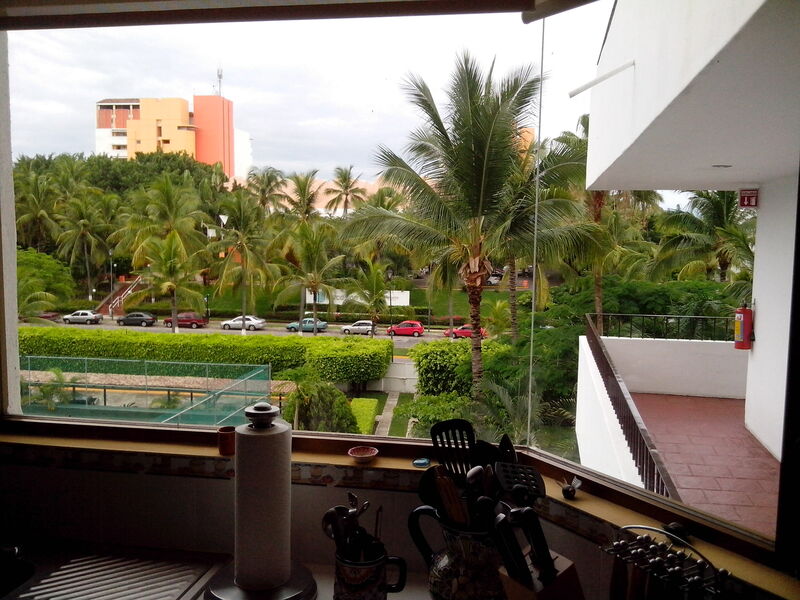 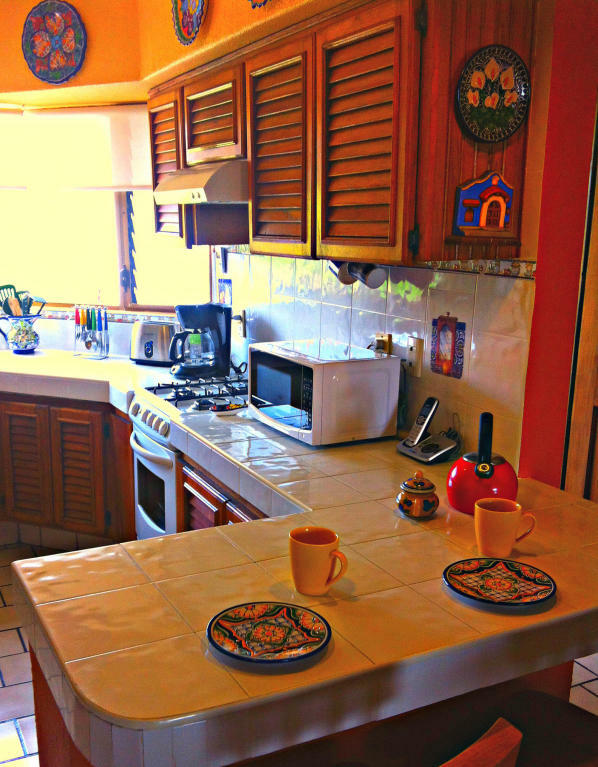 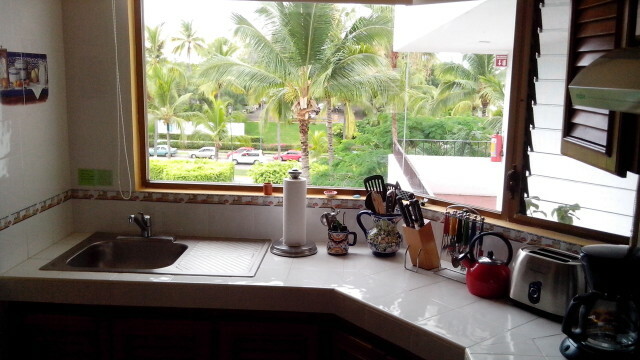 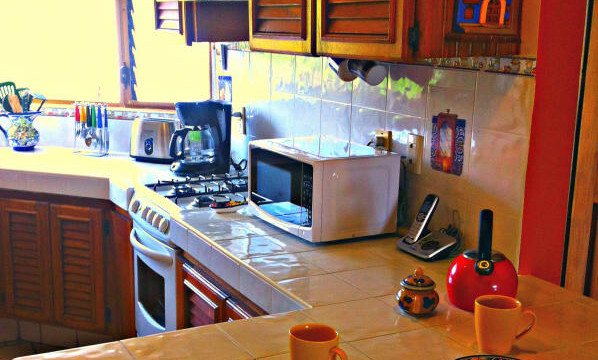 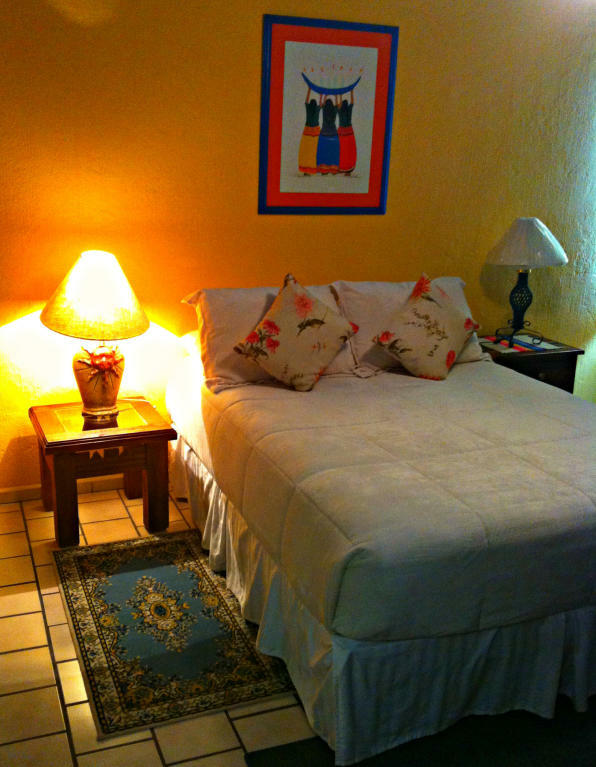 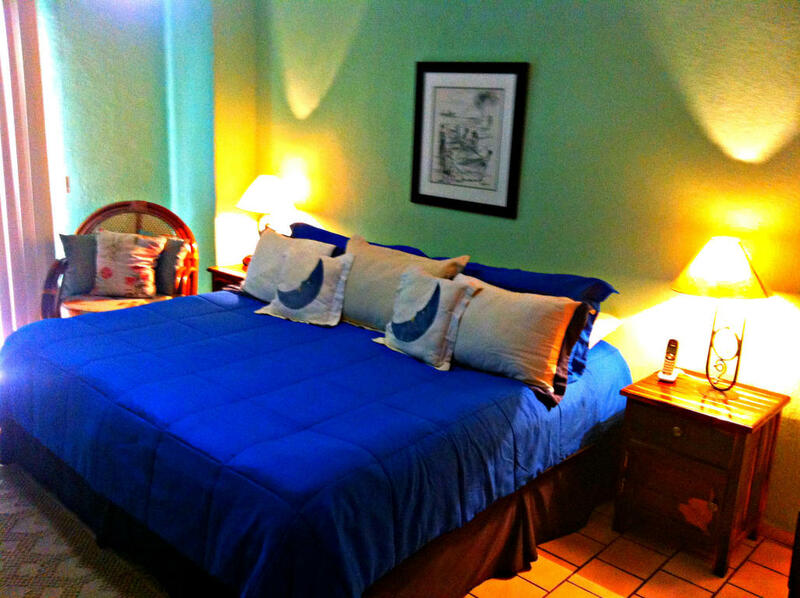 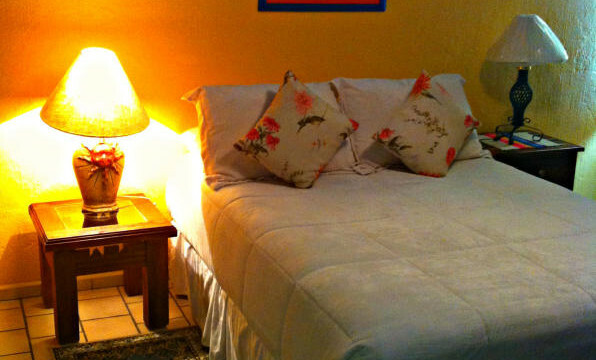 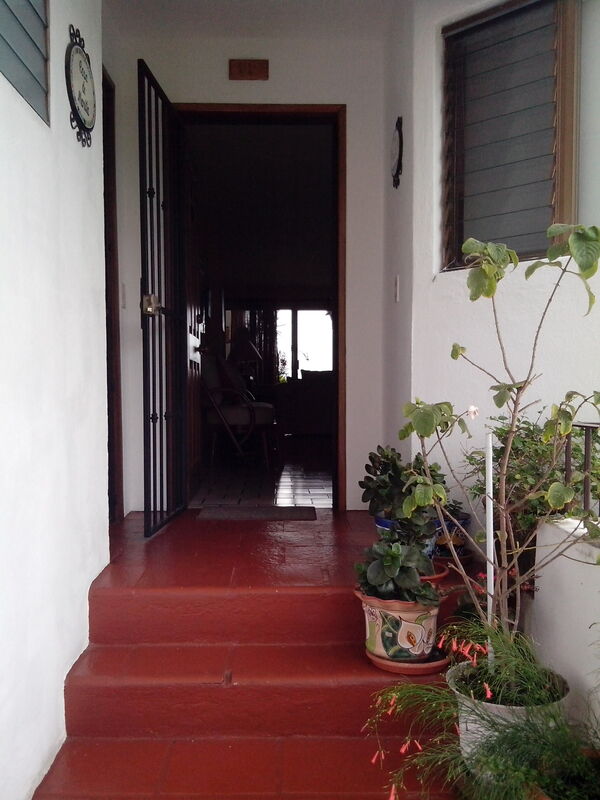 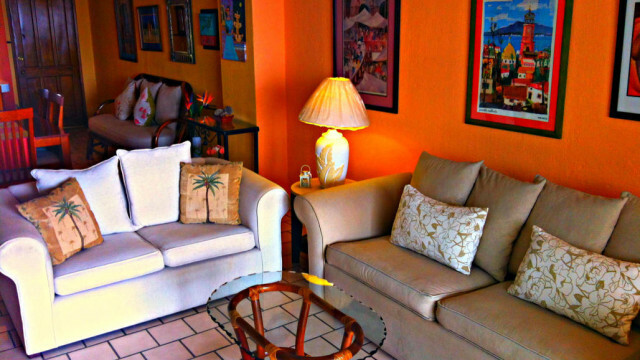 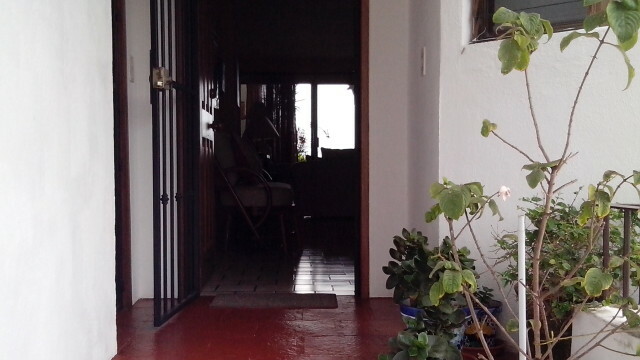 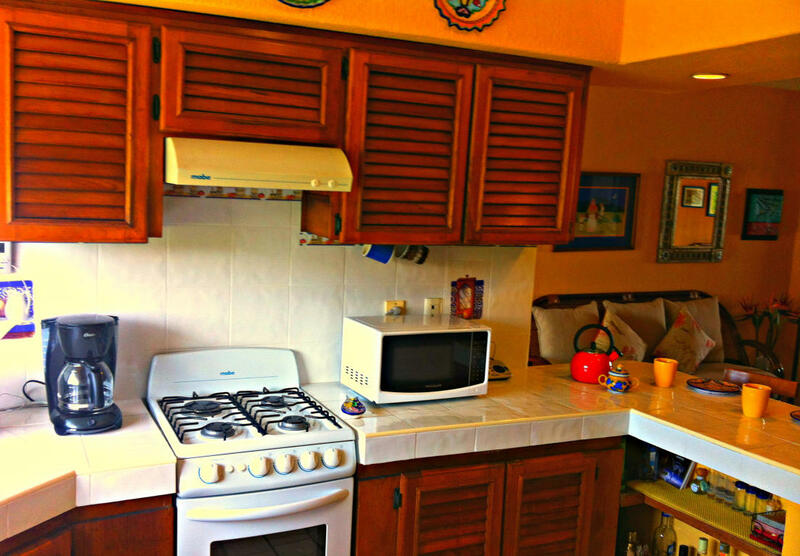 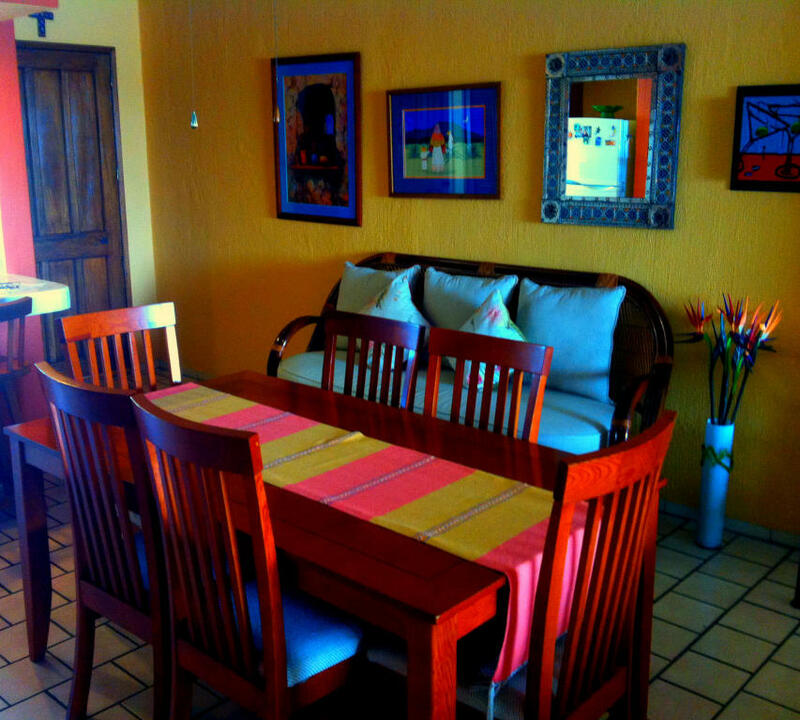 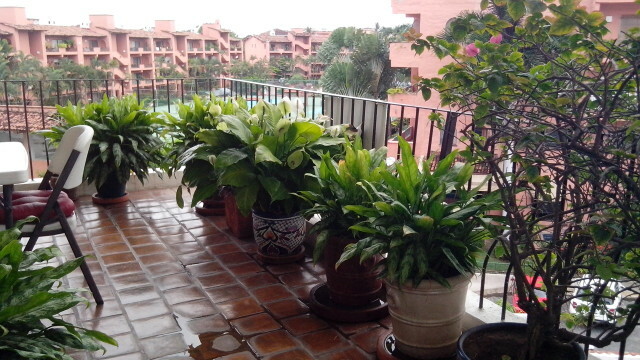 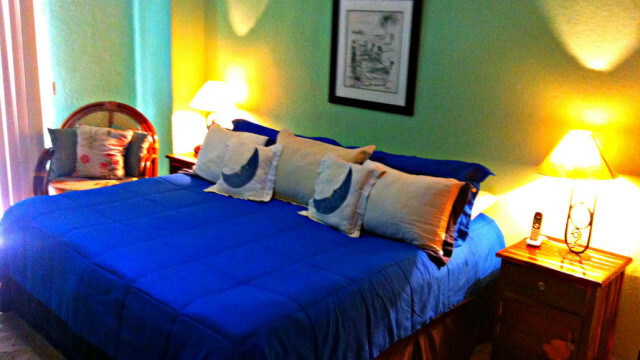 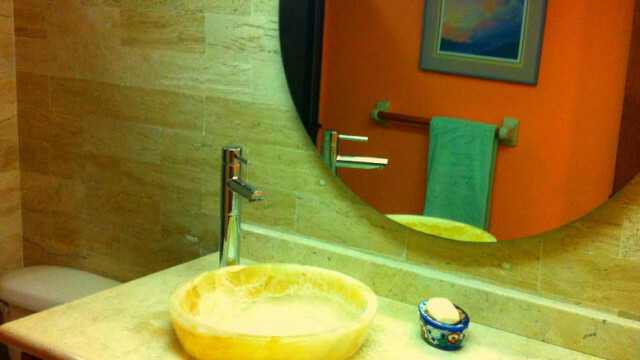 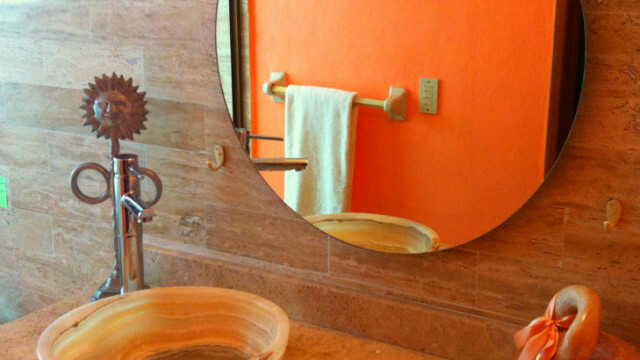 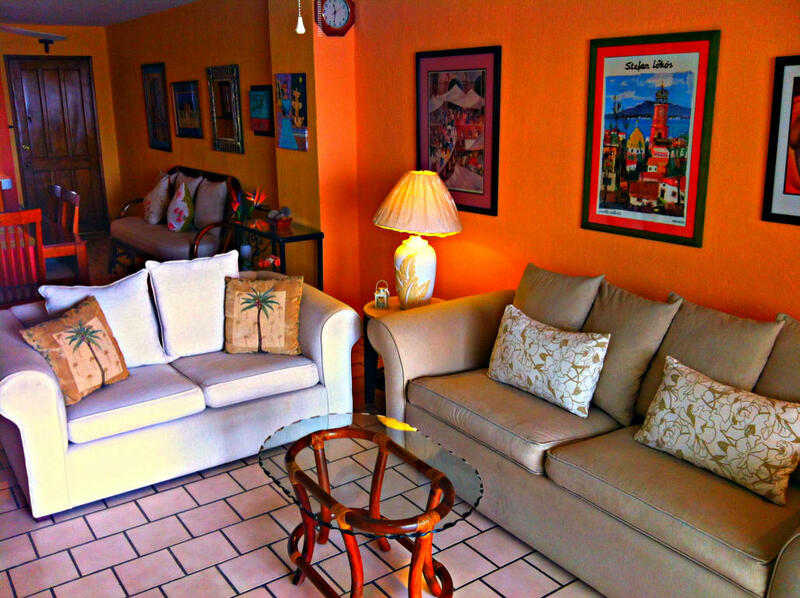 This comfortably furnished, well maintained condo is the perfect Mexican retreat! 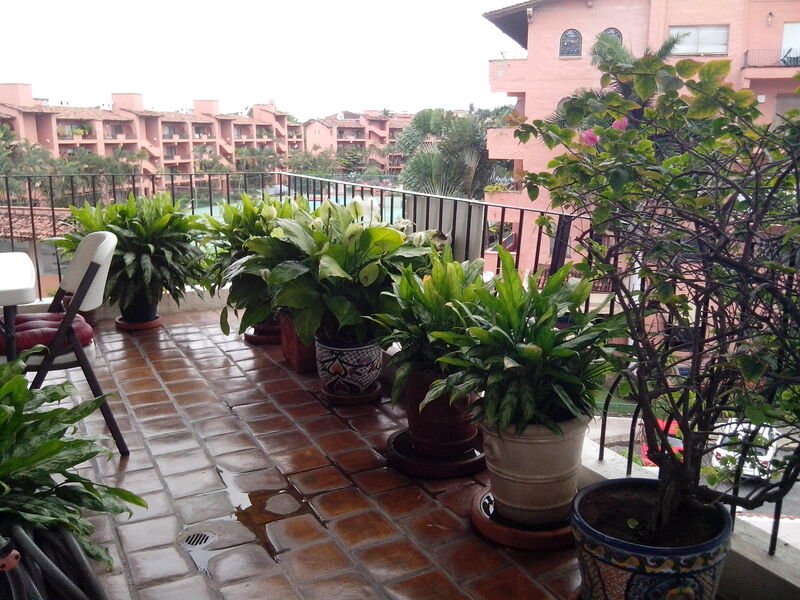 Plants surround you in your own tropical garden terrace right above Marina Vallarta providing a great place for morning coffee! 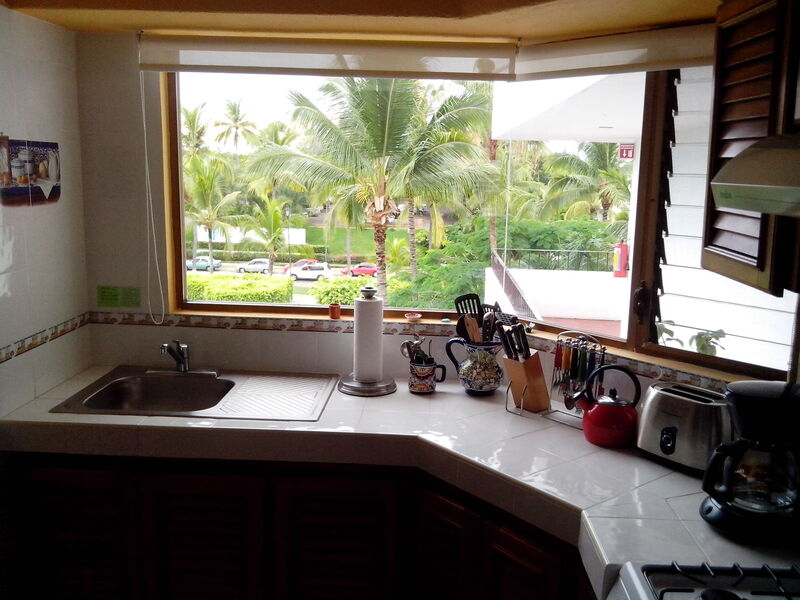 New mini-split air conditioners in living- dining area as well as both baths. 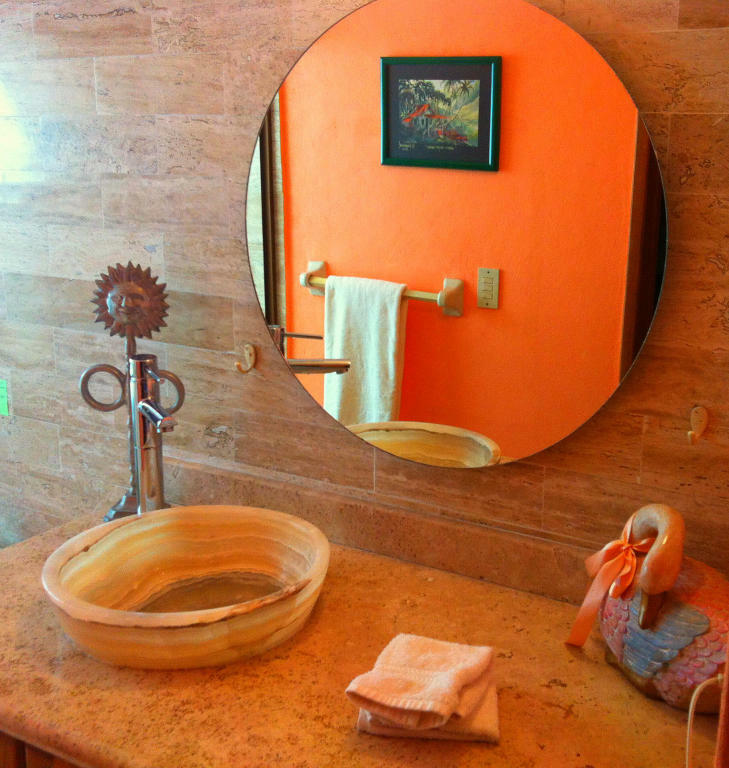 Both Baths have travertine tile on walls, freshly upgraded onyx sinks and new shower enclosures. 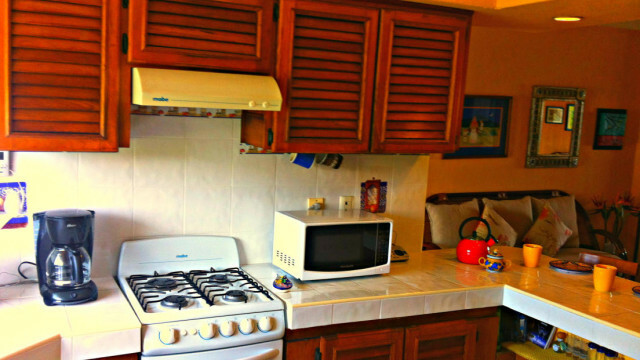 A large laundry room contains a full sized washer and dryer as well as A/C compressors with room to spare. 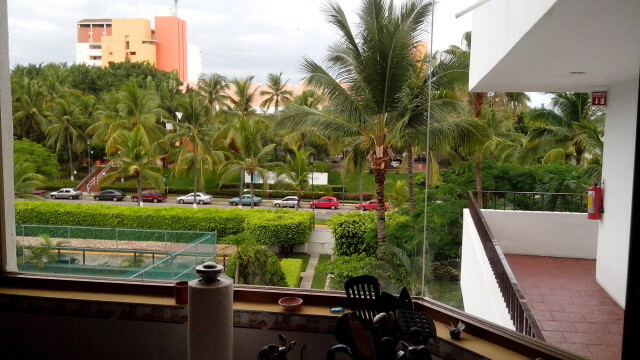 There is an assigned, covered parking space with this unit. 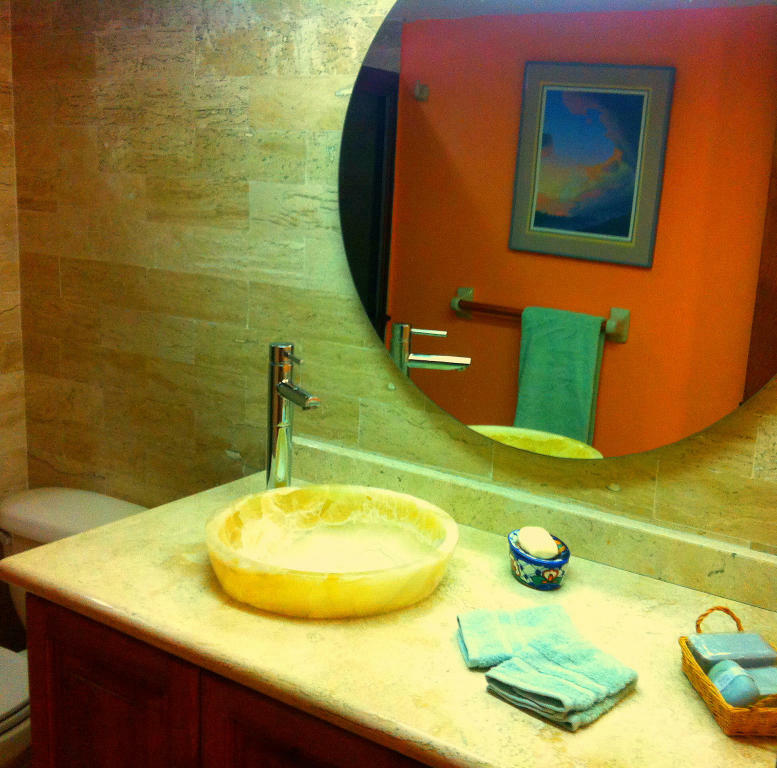 Property amenities include: common pool, newly re-surfaced tennis courts and 24 hour security.